Here the second draft from D&D Studios, with a better looking pizza and the website url. Un'altra perla? 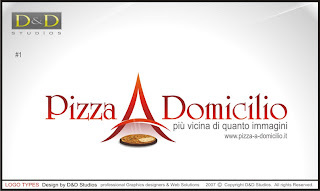 che servizi offrirà pizza-a-domicilio?